Under Construction. At Eola North you can embrace a luxurious low-maintenance lifestyle while enjoying a location near everything you know and love in this vibrant area of north downtown. 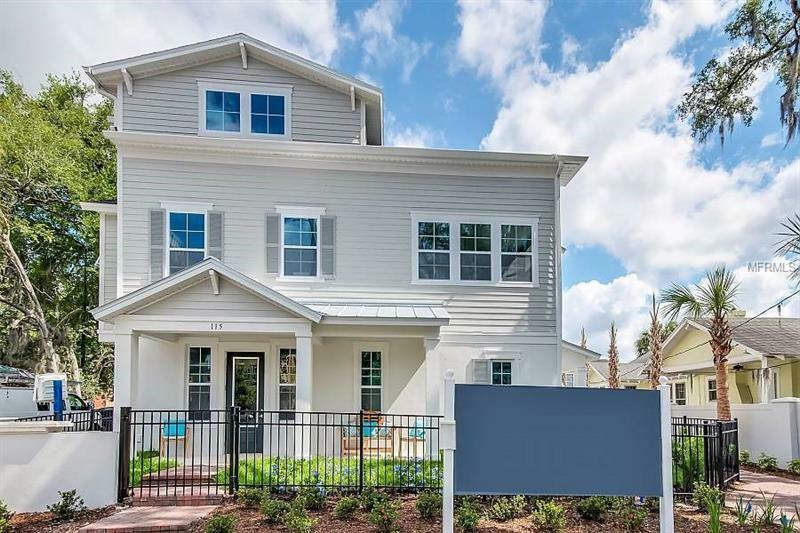 With walk-ability to restaurants shopping and easy access to I-4 SR 408 SR 50 and Sunrail this townhome offers the convenience of downtown living with the quality and award-winning designs from David Weekley Homes. This three-story home features a 2 car garage on the first level with a bedroom and en-suite. The second floor is ideal for entertaining with Wagon Hickory engineered hardwood floors white cabinets gray-veined white quartz counters large island stainless steel appliances and a spacious living room with a high vaulted ceiling that goes out to a covered balcony. With another bedroom bathroom and laundry on the second floor it leaves the third floor to truly be an owner retreat! With Mohawk plush carpeting vaulted ceiling and a walk-in closet large enough to fit both business and leisure attire. This David Weekley home also offers superior energy-efficiency in-wall pest control security system a 1210yr warranty as well as outstanding customer service.